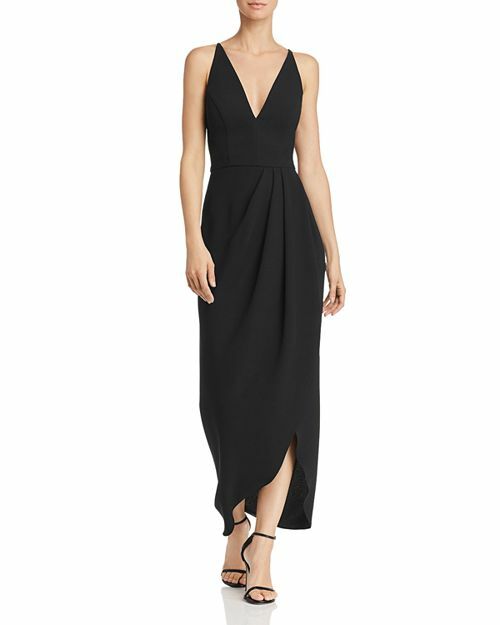 So here’s our list of cheap bridesmaids dresses that look like a million bucks. If you’re looking for the perfect blush look for your girls, the Eva Dress is an absolute stunner! The curve-hugging Jones Dress in navy with a gold detail at the waist is such a classic look, and your bridesmaids will not only look fabulous in, they’ll feel fabulous in it too! The Kane Dress is full of romance! The off-the-shoulder straps and tie at the waist is a sweet and effortless look! If your girls are looking to show off a little leg, this strapless lavender Iridessa Gown is so adorable and the perfect color for a spring wedding. If you’re looking for statement gowns, the Marigold Gown is for you! The gorgeous gold color and unique one-shoulder strap of this dress will give your girls a totally unique look. Who doesn’t love a short dress? If you and your girls are looking for something shorter but still super classy, you will love this blush off-the-shoulder Dolly Midi Dress. For the ultra romantic wedding, this red Kiki Gown will have all your guests feeling the love when your girls walk down the aisle. The Aqua Draped Gown is such a beautiful black bridesmaid dress! If you’re having a B&W wedding, these gowns are the perfect choice. This Velvet Gown is a Winter Wedding dream! 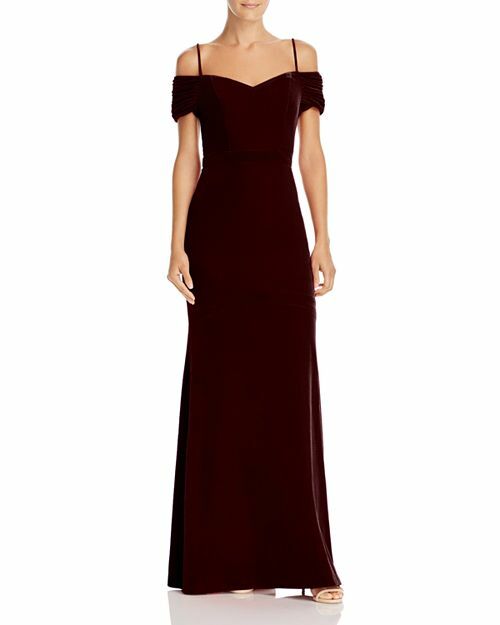 From the burgundy color to adorable sweetheart neckline, this bridesmaid dress was made for the holiday season. 10 So Cute & So Cheap! You’ll never believe how cheap this adorable Halter Dress is because it totally does not look it! It comes in different colors too. Everyone loves a little sparkle and so will your bridesmaids–who are sure to shine in this Madigan Dress. If none of these suit your style, here is a list of the best places to shop affordable bridesmaid dresses.